Some of the best places to visit in Iwate! If the ILC is realized, then many researchers and their families from around the world will come to Iwate. I’d love for you to really enjoy the best of what Iwate has to offer, so I asked residents of Iwate to tell me their “Osusume” spots. (“Osusume” means recommendation in English) I had people put stickers on each spot, with Japanese residents using red stickers and foreign residents using blue. I’ve got some more information about the highest-ranking spots below. 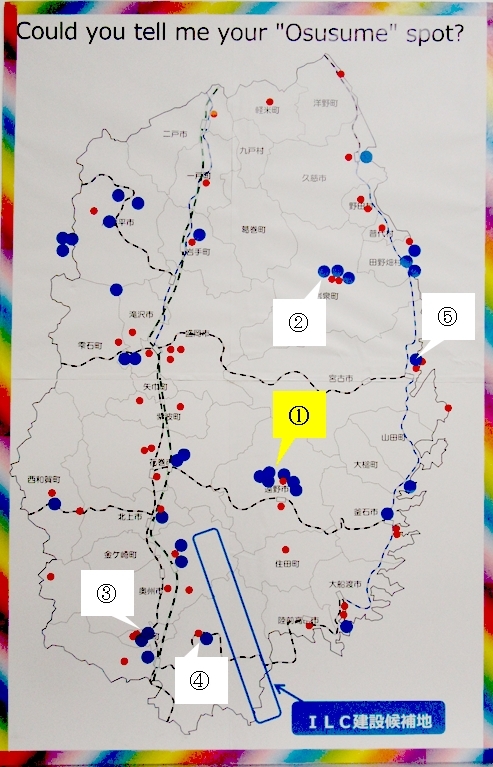 The scenery of Tono, a city in central Iwate, got the highest amount of votes, and was particularly popular with foreign residents. 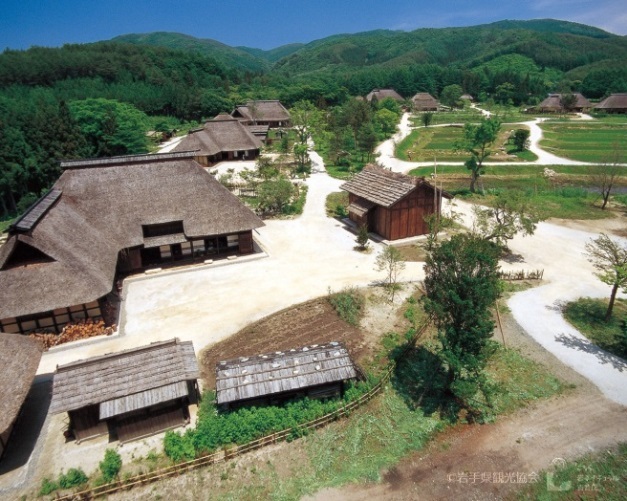 I think the reason it ranked so high is because it has parks like Furusato Village, which is the recreation of an old farming village. It’s a place where you can experience what it was like to live in Japan a long time ago. Coming in at number two were both Ryusendo Cave and Chuson-ji Temple. Ryusendo is a limestone cave in Iwaizumi, a town in northern Iwate. 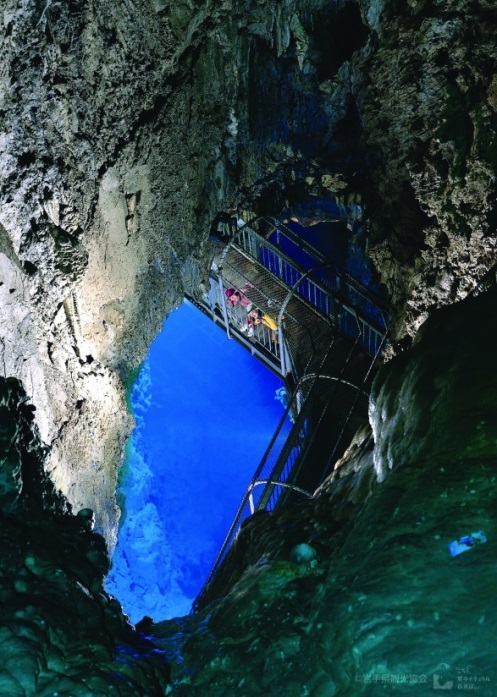 It’s one of the top three limestone caves in Japan. The underground lake inside is called Dragon Blue because of how clear and blue the waters are. 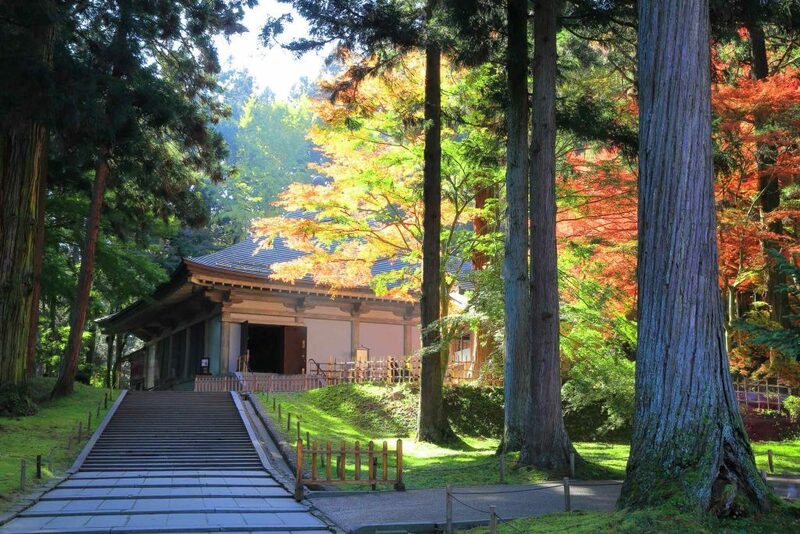 Chuson-ji Temple is part of Hiraizumi, our World Heritage Site. The Konjikido golden hall within is truly beautiful. 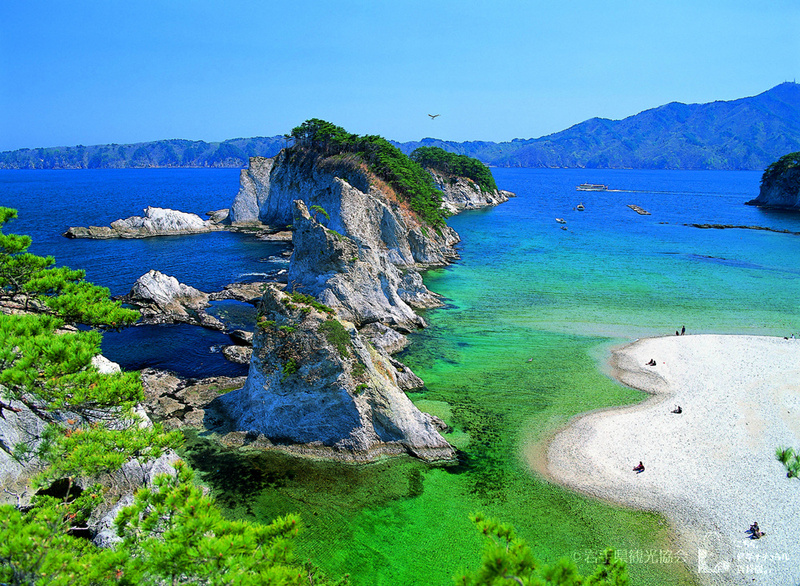 The third-most popular spots were Jodogahama Beach and Geibikei Gorge. Jodogahama is in Miyako City, and is one of the most famous spots on the coast. 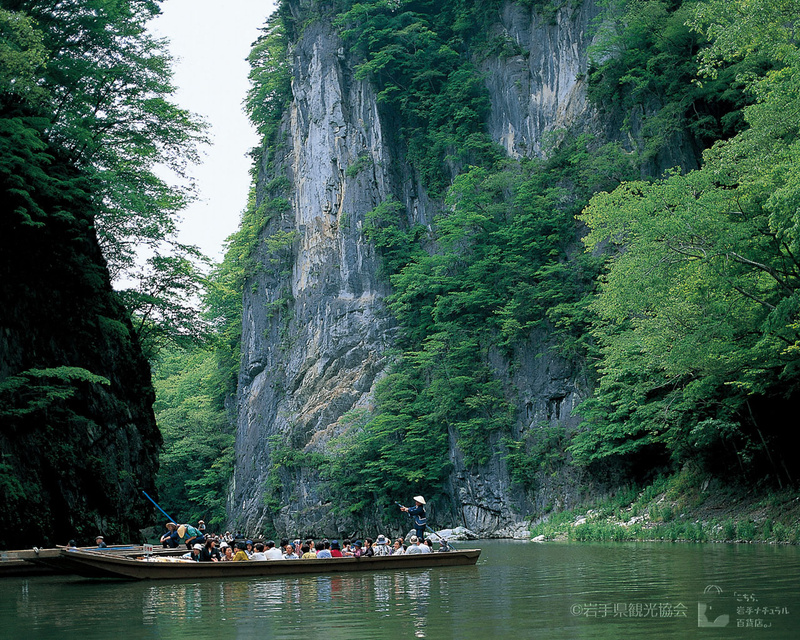 Geibikei Gorge has boat rides that will take you leisurely up a river so you can enjoy the cliffs and other nature. It lies within the Kitakami site for the ILC, and has also been chosen as one of the top 100 sights in Japan. Iwate is a huge place, with many places to see. As you can see, there were “osusume” spots on every inch of the map. Visit yourself to see the best of what Iwate has to offer! 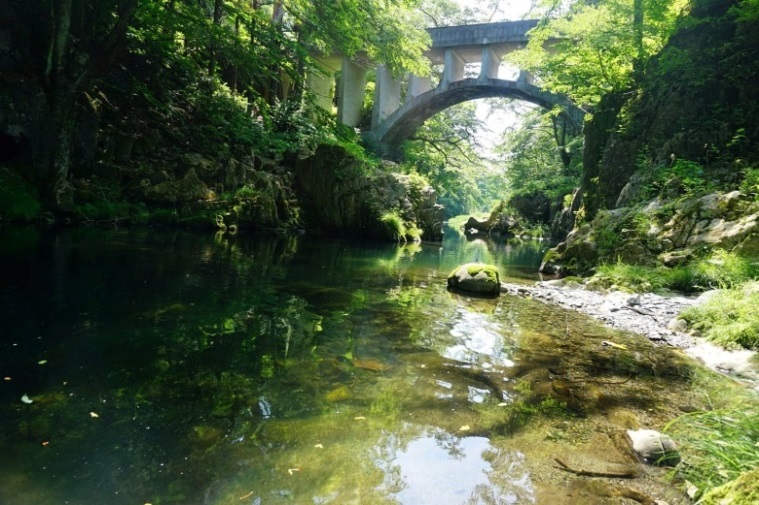 Find more spots to visit using our multilingual tourism site, VISIT IWATE!